The Osservatore Romano supplement “Donne, Chiesa, Mondo” (Women, Church, World) lost in one swipe its editor and board of directors: all of them rendered their resignations, in protest against Andrea Monda, recently appointed the editor of the Vatican newspaper, and the new editorial line. The change of the guard is not striking per se. It is the discussion around the resignation that is. The change of the guard was, in fact, a matter of time. It is part of the reform of Vatican communications. The reform went on, slowly, for years. It took an always more definite shape since the resignation of Mons Dario Edoardo Viganò as prefect of the Dicastery for Communication following the lettergate scandal. After that, just a few months later, Paolo Ruffini was appointed prefect. Ruffini immediately replaced Greg Burke, then director of the Holy See Press office, in the role of managing the briefings and communications of the 2018 Synod –before, the director of the Holy See Press Office was always part of the communication commission of the Synod. Then, the position of the editorial director of the dicastery for communication was filled by Andrea Tornielli. Andrea Monda was appointed the editor of L’Osservatore Romano. After Greg Burke’s and Paloma Garcia Ovejero’s resignations as director and deputy director of the Holy See Press Office, Alessandro Gisotti was chosen as interim director, and in short time he was supported by an international team in managing the press office. It was, in the end, normal that some things in “Donne, Chiesa, Mondo” would change, though the supplement was strongly supported by Lucetta Scaraffia: she founded it, edited it and fundraised for it. Without her, “Donne, Chiesa, Mondo” will likely be something different. It was Scaraffia herself that presented her resignation as a protest against the alleged sidelining of the voice of women in the Vatican, also complaining that it is two months that the magazine publishes pieces different from the supplement line. This is not new, for Scaraffia. She was one of the auditors at the Synod 2015 on family, and there she lamented how difficult it was for the auditor to take the floor. Also, she complained about the Synod being “too manly,” as it was composed only by bishops and eventually priests. “Donne, Chiesa, Mondo” also carried on some particular battles: on the alleged ill treatment of Vatican housekeepers, and on sexual violence on nuns. Anyway, the editorial line that led to the resignations cannot be considered as anti-feminist. And yet they were considered as such. There were those who noted that no woman theologian took part in the debate. Others pointed out that, with these resignations, there are always fewer places for women in the Vatican. Others lamented the revenge of clericalism – though “clericalism” is now a sort of magic word, a scapegoat to blame whenever things do not go in a particular way. This debate shows that there is a clear secular agenda for the Church. This agenda advocates for a different Church, more democratic and less “Holy Hierarchical Mother,” as Pope Francis likes to call her. This agenda even foresees a Church organized in a quasi-political way, with positions distributed in a precise way and in which the quota of women must be equal to that of men, and men and women can aspire to the same positions. All of this would mean making the Church an organization like many others. This agenda did not come up with Pope Francis. It existed under Benedict XVI, under John Paul II and even under Paul VI. After the Second Vatican Council, those who wanted to interpret the Council as breaking with tradition always tried to pressure the Church. A clear example of that is the campaign against Paul VI’s encyclical Humanae Vitae, which we are still experiencing. Another example is the file with a series of proposed reforms for a democratic Church that was reportedly discreetly sent to Cardinals gathered in conclaves in 2005 and 2013. Pope Francis was in fact elected with the mandate of reform. He knows that these are the forces in action. He plays with them as a Jesuit does. Speaking of homosexuals, he used the famous catchphrase “Who am I to judge?”. On the other hand, he loses no occasion to say that gender ideology is “demonic”. Pope Francis also clearly stresses that family is an essential component of society, though many want him to back civil unions. 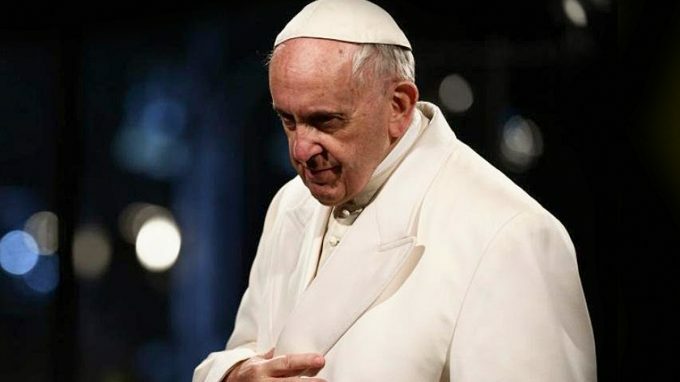 Speaking of abuse, Pope Francis puts the Church in a state of crisis, summoning a summit in the Vatican, and in the final remarks, he underscored that not all the priests are abusers, thus restoring some judicial guarantees. There is also the issue of deaconesses. Pope Francis established a commission. The final draft of the commission has already been presented. Pope Francis is not speaking out, seemingly proving that in the end, he does not want to establish the ministry of deaconesses. Rather, he wanted to open a conversation of the issues. 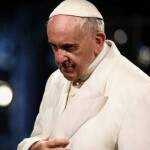 Pope Francis has enjoyed a good public opinion about him, with this open conversation. However, even good public opinion is fading. People are expecting concrete reforms, not tricks that just show things are ongoing. The whole Pope Francis’ pontificate risks to fall under the Humanae Vitae effect, for the same reasons Humanae Vitae failed to be understood: it was profoundly supported and then abandoned by its supporters, who were expecting more. In the end, Pope Francis’ loyalty is for the Church. The faithful are looking for doctrinal clarity, but on the other hand, they are eager to give life to the Pope, the Church and things they believe in. The Pope can rely only on the faithful. The secular world will never be satisfied for as long as the Church does not change her teaching and adapt to the world. This became clear after the discussion arose over the resignation of the “Donne, Chiesa, Mondo” editorial board. Pope Francis does not back the “pink” quotes. His Argentinian soul leads him to a certain distrust of Rome, and to take all the decisions outside of the Roman circles. His Italian, and now Vatican, soul tells him that things must be done and decided in Rome. From Rome, one can understand the world. This is how a pontificate that seemed to be outward-bound is now trying to consolidate its internal ranks. The attacks from the secular agenda are strong, there is always the risk that Catholics will become worldly. The ideology on new families and sexual morality has gained great press coverage and pushes on the pontificate. This is how the Pontificate gave rise to expectations that certainly go further than what Pope Francis wanted. It happened with Paul VI and Humanae Vitae. It happened with St. John Paul II. It happened with Benedict XVI. This is the reason why a small change of the guard within the Osservatore Romano, traumatic as it could be and even questionable, is another excuse to push an agenda behind the pope’s back. It is a well-defined agenda, that all Popes are called to confront. Pope Francis’ strategy has been that of opening a dialogue and of giving the idea that things are different, while staying solid on some principles and somehow vague on others. This strategy cannot last forever. It helps to have a honeymoon with the media, but it cannot fool the secular forces that are moving against the Church’s teaching. The discussion around “Donne, Chiesa, Mondo” is a sign. It is yet to be seen how much Pope Francis’ strategy will hold.